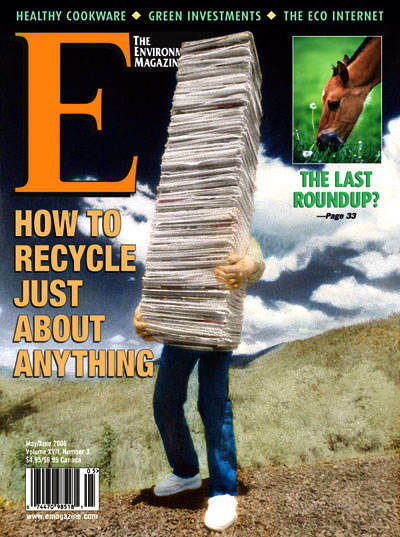 Do you enjoy journal writing or mailing notes to family and friends but worry about your paper use? Need a good place to organize your daily notes and thoughts? Consider Trumansburg, New York-based Acorn Designs, which makes beautiful stationery imprinted with striking images from nature and produced using a blend of kenaf fiber and post- and pre-consumer recycled paper. Kenaf is a 4,000-year-old crop from the hibiscus family that has roots in ancient Africa. Kenaf produces substantially higher fiber yields than trees yet requires fewer fertilizers and pesticides. And because the fibers are lightly colored, they do not need to be bleached during processing, making it a popular choice among eco-advocates. Acorn Designs” distinctive products include bookmarks (70 cents), notepads ($4.50), journals and notecards, which come in packs of six wrapped in biodegradable cellophane ($7.50). Journals are spiral bound, contain 70 unlined sheets and come in seven different colors and two sizes ($10.95 for pocket sizes and $13.50 for larger sizes). 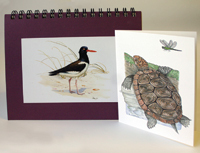 Both the notecards and journals come with detailed explanations of the plant or animal pictured, making them educational as well as beautiful and functional. CONTACT: Acorn Designs, (800)299-3997, www.acorndesigns.org. —E.C. At this time there are three types of services available: the Ascetic ($10) is a one-time item request; the Basic ($25) gives the customer 30 days to request three items; the Eco-Maniac ($250) allows a customer to request and source any items for up to one year. 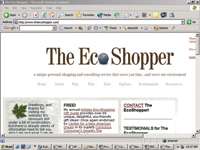 The EcoShopper website also has a resources page that gives consumers advice on websites to shop at, and books and magazines that support the environment. 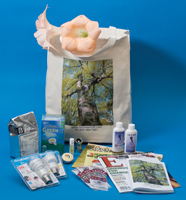 CONTACT: The Eco-Shopper, www.theecoshopper.com. —E.C. .food is one of the things we can control going into our bodies, so why not put some thought into it?” The t-shirts themselves come from American Apparel’s 100-percent organic cotton line and are available in a natural/créme color ($30 each). The logos are printed in non-toxic, water-based inks. Each shirt is hand screened by Smith herself and can be purchased online. Also make a statement with t-shirts from JustifyThat.com. Kevin and Renice Ward created JustifyThat in March of this year in response to the plight of cotton farmers and workers in sweatshops. Their featured shirt ($22.50) casts a spotlight on the negative environmental and ethical problems that arise in the creation of these staples of American wardrobes. The shirt logo creatively lists the ingredients used to create the average t-shirt: pesticides, reactive dyes, chlorine bleach and sweatshop labor. Two other original designs are also available, highlighting Earth Day 2006 and the ecological footprint of the average American citizen. JustifyThat clothing is made from organic unbleached cotton, is produced in the United States in a sweatshop-free environment, and is printed using low impact, non-toxic inks. CONTACT: Ingreedients, www.pursuitgrooves.com; www.JustifyThat.com, (866) 229-3976. —E.C. Vegetarian Justin Gold was unsatisfied with the traditional brands of peanut butter he found on the shelves at his local grocery store, so he created Justin’s Nut Butter from organic Valencia peanuts. Justin’s mission was to create “amazing nut butters made with the highest quality organic and natural ingredients.” Justin’s Nut Butter is USDA-certified organic, sweetened naturally with honey and is cholesterol and trans-fat free. The nutritious and delicious peanut butter is available at health food stores and online in 16-ounce jars ($6) in four unique flavors: heavenly honey, sinfully cinnamon, pumpkin pie and honey almond. The spreads are great on bread, crackers, bananas, apples, celery, muffins and other foods. 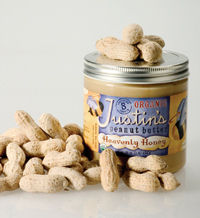 CONTACT: Justin’s Nut Butter, (303)449-9559, www.justinsnutbutter.com. —S.W. The World Bank, once an enthusiastic supporter of dam building, has decreased its involvement in new dam projects significantly over the last 35 years as current structures become increasingly problematic. Author Jacques Leslie visited heavily dammed areas in India, southern Africa and southeast Australia to investigate. Leslie chronicles his experiences in Deep Water (Farrar, Straus, Giroux, $25), a firsthand account of how major dam projects have affected people and the environment. Leslie is careful to present both sides, and leaves room to laud some of the achievements these projects have earned. 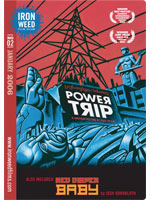 However, when everything is laid on the table, people were displaced, species were driven to overpopulation or extinction, and diseases and famines ensued.”Humans believed they could vanquish nature,” Leslie declares, “and found themselves vanquished instead.” Leslie’s narrative introduces some engaging characters in the world of dams, lending his book a page-turning quality. —R.A. “Only this simple everyday living and wilderness wandering seems natural and real, the other world, more like something read, not at all related to reality as I know it,” writes Eric Blehm in The Last Season (Harper Collins, $24.95). In the beautifully written book, Blehm examines the life of backcountry ranger Randy Morgenson, who spent 28 summers working as a National Park Service ranger in the Sierra Nevada Mountains in California. In his last year as a ranger, Morgenson disappeared into the wilderness. Blehm blends descriptions of the spectacular setting of the Sierra Nevadas with stories of Morgenson’s coworkers, friends and wife to tell the story of a man’s life, his work as a ranger, and his deep love for the outdoors. This book is perfect for people interested in adventure, hiking or rock climbing, or for anyone who feels at home with nature. —E.C. Use the many suggestions from author Marlene A. Condon to create a garden that will flourish and be easy to maintain without the use of pesticides or fertilizers. Learn how to use feeders and boxes to create shelters for wildlife and establish ponds to provide water and nutrients to organisms. Create an oasis that is teeming with life in your own backyard. —E.C. The American landscape has certainly changed in the last few decades, and the fastest growing scenery seems to include the neon lights of burger joints, cookie-cutter housing developments and the asphalt parking lots of big-box retailers. This change has contributed to the already frenetic American lifestyle, to the point that people may not have had time to stop and think about what it means when the trees and the Main Streets disappear from their neighborhoods. Two new books attempt to illustrate just how sprawl has changed the idea of community in America. In It’s a Sprawl World After All (New Society Publishers, $17.95), author Douglas E. Morris contrasts his experiences with community in the United States and Europe. The desire for more personal space coupled with a heavy dependence on cars has not only reaped environmental havoc on American soil, Morris writes, but has also contributed to health and social problems that are far less common in Europe, where cities and towns are more condensed. Morris uses the second half of the book to suggest small and large-scale changes individuals, communities or governing powers can make to gain back control of sprawl and its effects. Losing It All to Sprawl (University Press of Florida, $24.95) approaches the topic from a whole new avenue. Author Bill Belleville colorfully details his history in Florida, centering on the purchase and maintenance of a 1940s-era “Cracker” house. Belleville weaves tales of vivid scenery and feral neighbors with the environmental devastation that overcame his rural neighborhood as the realtors and bulldozers rolled in. “All of Florida is for sale,” an interested real estate agent had explained to Belleville. Both these books seem to dare the reader: Now that you know, what are you going to do? —R.A.